Blockchain — industry buzzword or bona fide gamechanger? The past twelve months has seen the potentially revolutionary technology very much retain its interest — perhaps largely attributed to the explosion of bitcoin — and its adoption steadily creep beyond its roots in the realm of banking and finance into a number of other industries. For businesses in the consumer goods space — be it in the retail or food & beverage sectors — visibility, traceability and the ability to quickly and comprehensively tackle manufacturing recalls or address outbreaks is critical in retaining consumer confidence and brand equity. In January 2016, the Center for Disease Control reported that at least 55 people were infected with an outbreak of E. Coli caused by food at Chipotle Mexican Grill. Significantly, after a thorough investigation of Chipotle’s supply chain, the U.S. Food and Drug Administration was not able to identify the origin of the outbreak. The result? 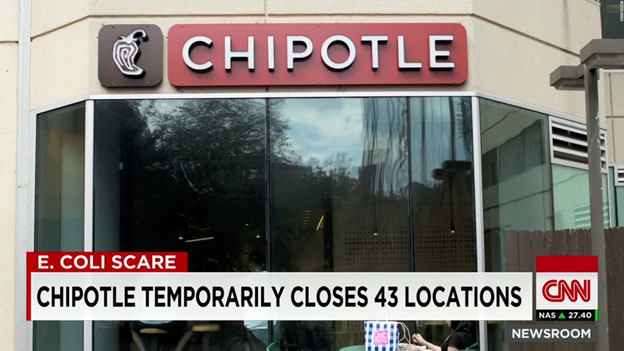 Chipotle closed 43 restaurants in Washington and Oregon and their stock tumbled over 44%. Perhaps this was the impetus for Walmart, which serves 290 million consumers every week while managing a vast, complex web of suppliers and distributors worldwide, to launch its Food Safety Collaboration Center in Beijing, collaborating with IBM and Tsinghua University to improve how food is tracked, transported China using blockchain technology. A traceability test conducted in May 2017 traced the origins of a package of mango in 2.2 seconds; this would take 6 days and 18 hours using traditional methods. Today, global supply chains have become extremely fragmented, complicated and geographically dispersed. Transactions within the supply chain often involve manual paper and unstructured electronic transfers of records such as purchase orders, invoices, bills of lading, customs documentation and certificates of authenticity that accompany physical goods. Keeping track of the ownership of physical goods and inventory at each step, along with the corresponding paper flows, can be a major undertaking, especially with manual processes that are subject to human error, loss, damage and even theft and fraud. In recent months, several intriguing pilots have emerged alongside higher profile announcements such as Foxconn’s Chained Finance initiative and IBM’s collaboration with Maersk line. Take for example T-Mining and how it endeavors to address the phenomenon of fictitious pickups. These occur when con artists show up at a shipper’s dock, provide fabricated insurance documents, DOT numbers for trucks, and pickup documentation. 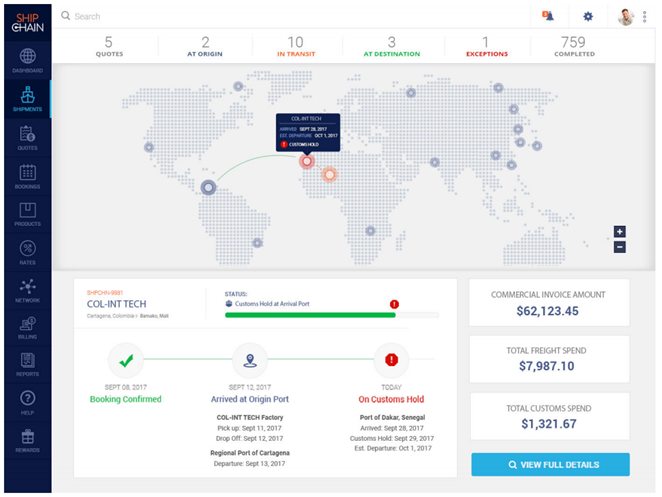 In 2016, Freightwatch International Supply Chain Intelligence Center reported a total of 387 cargo thefts in the U.S., with an average loss of $154,184 per incident. T-Mining aims to tackle fictitious pickups by issuing secure, blockchain-enabled clearance for personnel — such as truck drivers — to pick up loads. One of the key advantages of blockchain is that it is much, much more secure than traditional IT solutions. It is argued that blockchain could help prevent these kinds of thefts. Another organization, Kouvala Innovation, has an even more audacious vision — marrying blockchain with the Internet of Things and the sharing economy. Pallets with RFID tags would communicate their need to get from point A to point B by a certain date. Carrier “mining” applications would bid for the right to move that load. The RFID tag would award the business to the carrier that bests meets a shipper’s price and service needs. Then as the move progresses, the blockchain would continue to track the shipment. It has been estimated that 90 percent of global trade is carried out by ocean shipping industry, and the cost of trade-related documents and administration is estimated to represent up to 20 percent of the actual transportation cost. 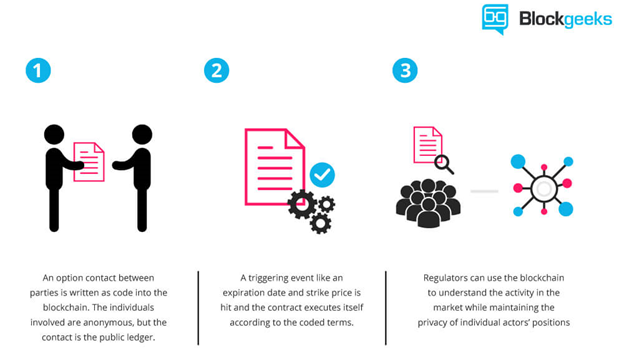 Smart contracts tout the potential to significantly reduce these excessive costs. 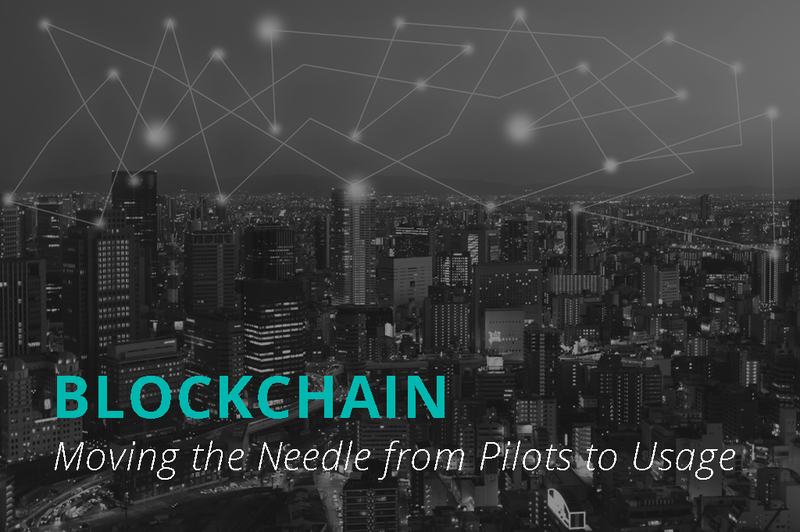 The idea is that contracts, within the blockchain, will execute automatically when conditions are filled, meaning payments will be made, or deliveries dispatched, or anything else in business which is typically defined by a contract. Blockchains make smart contracts possible because of their consensus-driven nature. Once agreed-on conditions are met, the contract is then filled. This means less time issuing and reconciling paperwork such as invoices and purchase orders, better cashflow and faster payments amongst a whole host of other improvements in the speed, efficiency and accuracy of administration. Furthermore, ShipChain is a blockchain platform specializing in the freight and logistics sector, using the Ethereum network to record all shipment-related data on the blockchain as well as using smart contracts to automate execution. ShipChain ensures proper record keeping while removing the high middleman fee common in the industry. 1. The focus should be on establishing universal standards for blockchain as opposed to launching disparate albeit essential smaller scale pilot projects. Without standards in place, it is unlikely will experience the large scale adoption many anticipate it will have. 2. Blockchain is a means to an end — not an end to itself. 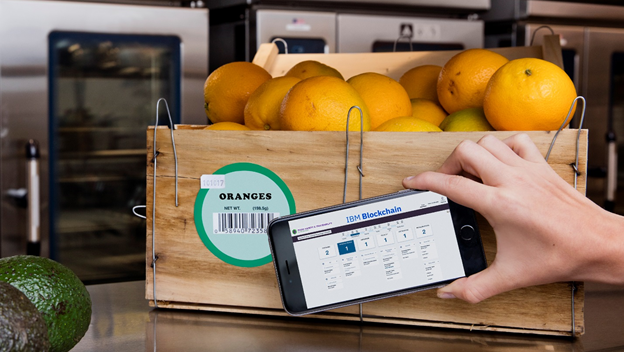 Kouvala Innovation’s RFID-pallet based blockchain pilot demonstrates that blockchain is but one technology that can and in some cases, needs to work in tandem with other technologies to drive maximum potential. For example, by combining machine-to-machine (M2M) communication with smart contracts, there is substantial potential to significantly reduce manpower and drive greater efficiency. 3. Due to its root its banking and finance, there is a disproportionately large number of talent in this industry. Therefore, there is a need for greater collaboration between the private and public sectors and the academic and R&D spaces to jointly invest in increasing the talent pool to drive the creation and adoption of blockchain applications across other industries as well. 4. Miners are used to validate that the data added to a blockchain is valid. While in a financial context the time needed to this, which tends to be minutes, is viable, some elements of supply chain on a transactional-level is relatively more time-sensitive and therefore greater speed is needed for mining.